When you're in college, anything can happen. That is, anything can happen to your body while playing games of hallway tag at 3 a.m. So when you suffer those minor injuries, bring some first-aid college supplies to remedy the situation. 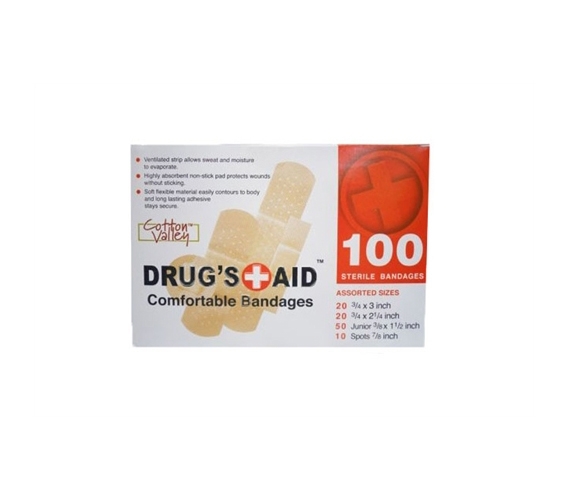 From bumps or scrapes or cuts, bring this Personal First Aid Bandage Kit (100 Pieces). As part of your college dorm stuff, you'll feel reassured that you have some cheap, stick-on bandages for when those little injuries occur. Even though mom won't be there to apply it for you, you'll feel better knowing these just-in-case college products are included with your dorm stuff. Shopping for college means being prepared for all sorts of situations. So when you are playing hallway tag or are just running late to class and take a tumble, be prepared for that too. These cheap college essentials are just something to keep under your bed or in your dorm desk, but you'll be glad you brought them when those minor injuries occur. You won't want to run off to the student health center for a small cut, but you just might have to if you haven't prepared yourself with the right supplies for college!